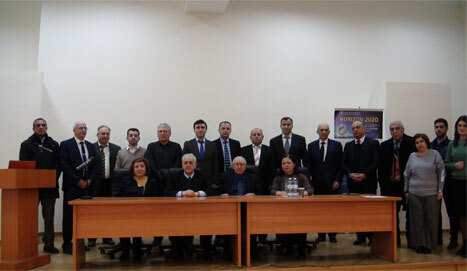 In accordance with the plan of events devoted to the Science Day, a scientific seminar on "Participation of Azerbaijani scientists in the European Union Horizon 2020 Research and Innovation Program" took place at the Institute of Control Systems of ANAS on 29 March 2019. The seminar was attended by employees of ICS, representatives of the Heydar Aliyev Academy of the State Security Service, the Institute of Architecture and Art, the TRIZ Developers Summit International Association, the Police Academy of the Ministry of Internal Affairs, the Military Academy of the Armed Forces, the Institute of Physics, the Baku High Oil School and other institutions. The seminar was opened by Academician Telman Aliev, Director of the ICS. He talked about the achievements of the Azerbaijan science, the present state of science and prospects of its development. Then the director of R.I.T.A., Legal & Financial NCP of the European Union Horizon 2020 Research and Innovation Program and national eTrade expert of the EU HDM Initiatives project Tofig Babayev made a presentation on the HORIZON 2020 Program. 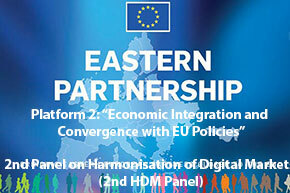 In his presentation, T. Babayev told the participants about the history of the EU's Research Framework Programs, EU's EUROPE 2020 Strategy, components of the HORIZON 2020 Program, the procedures of researchers' participation and registration in the program, search for project tenders, types of projects, and creating a consortium. During the presentation, the participants received particularly detailed information on the opportunities of participation of Azerbaijani scientists and researchers in HORIZON 2020.